Today in Masonic History David Dalrymple is born in 1726. David Dalrymple was a Scottish politician. Dalrymple was born on October 28th, 1726 in Edinburgh, Scotland. He was educated at Eton College and later attended Utrecht University to study law. In 1748 he returned to Scotland and was admitted as an Advocate (passed the bar in other countries). It is said that Dalrymple was of very high distinction nor had a very extensive practice. His knowlege and his strict probity when it came to the law was also noted. In 1766 he was elevated to the bench of the Court of Sessions, the Supreme Civil Court of Scotland. In 1776 he was appointed Lord of Justicary, the highest Criminal Court in Scotland. Dalrymple's contribution to literature came in 1776 and 1779 when he released two volumes above Scottish history. The first was From the accession of Malcolm III, surnamed Canmore, to the accession of Robert I and the Second, From the accession of Robert I, surnamed Bruce, to the accession of the house of Stewart. The books were called a "Dictionary" of carefully sifted facts. 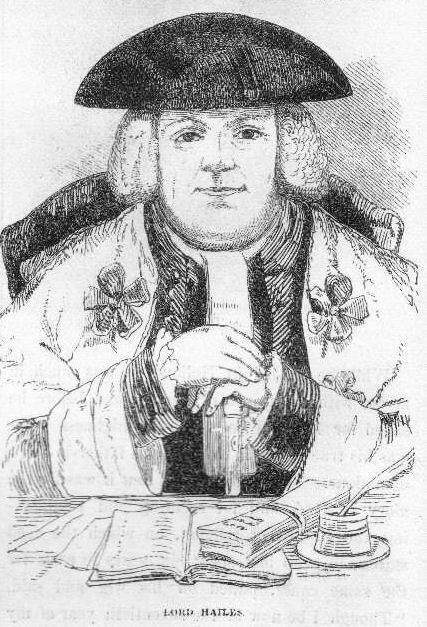 Dalrymple passed away on November 29th, 1792. Dalrymple was the Grand Master of the Grand Lodge of Scotland from 1774 until 1776.